Mission: The Personnel Advisory Board secures efficient and effective personnel administration. 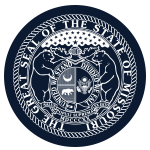 Function: The Personnel Advisory Board approves classification and pay plans, promulgates rules and regulations regarding personnel administration, conducts investigations and makes suggestions and recommendations to the Governor and the Director of the Division of Personnel. Compensation: Members receive a per diem for each day devoted to the affairs of the board and reimbursement for realized and necessary expenses. Political Requirements: No member of the board, during the member's term of office, or for at least one year prior thereto, shall be a member of any local, state or national committee of a political party or an officer or member of a committee in any partisan political club or organization, or hold, or be a candidate for, a partisan public office.